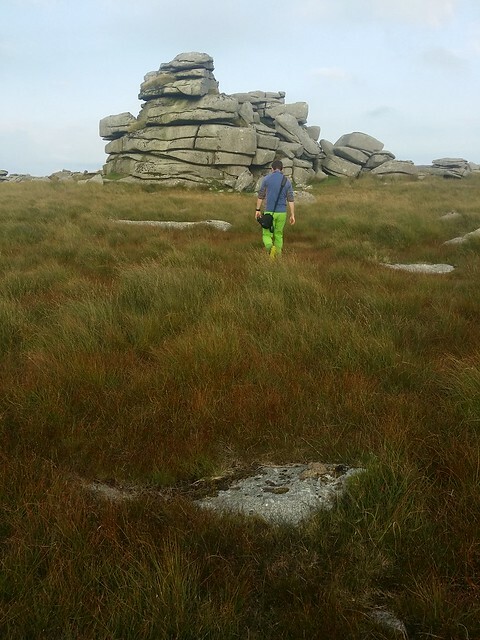 It was a mini-social hiking wild camping meet over the August bank holiday weekend, with Cath and Rich journeying down to the south-west for a two day hike to Fur Tor, where we would be met by Phil and Sarah. 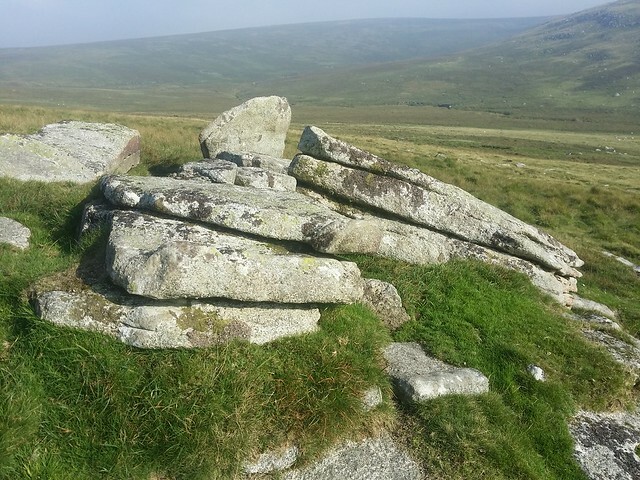 There are simpler routes to take to the "Maiden of the Moor", but for some reason I thought that it would be a good idea to start from my doorstep, in Okehampton. 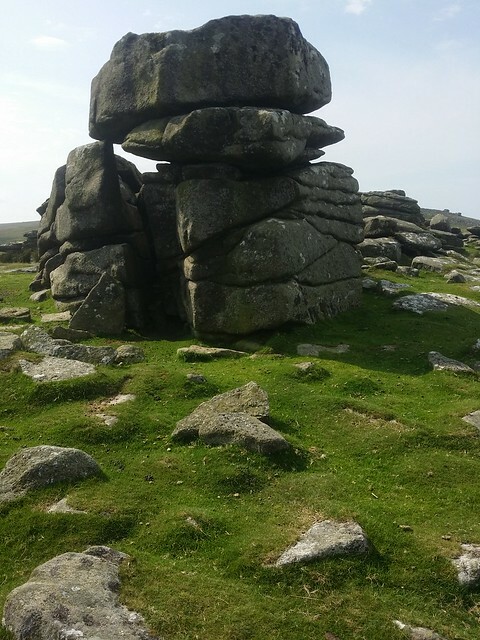 My route was as direct as I could make it, allowing for the odd detour for a tor or significant rock, and this began with a climb up from Fatherford to secretive Ashbury Tor. 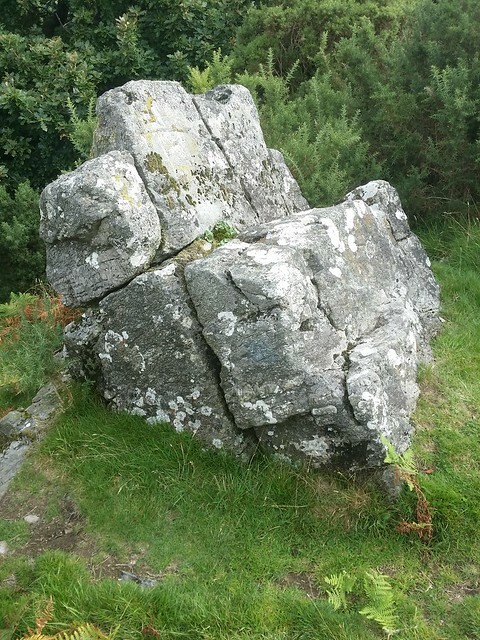 The first outcrop of note is dubbed "The Roman Chair", for obvious reasons, although it is in need of re-upholstering. The rest (and best) of this tor is tucked away below the summit, within the oak tree line. In all my visits here, alone or with companions, I have never seen anyone else, it's seclusion adding to its appeal. 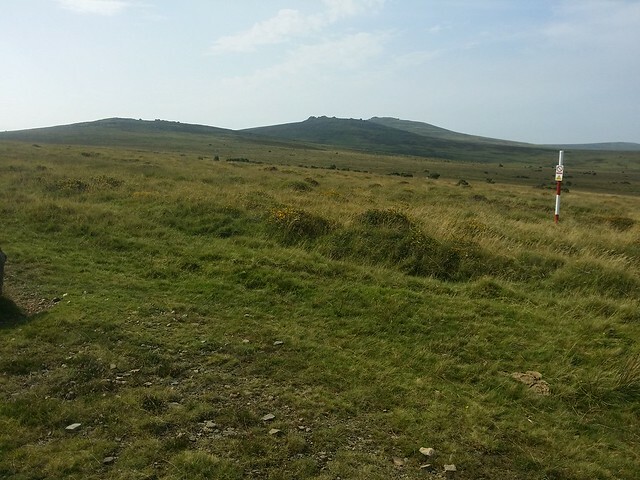 We continued west, to the trig pillar on the summit of East Hill, with good views of Okehampton to the north, and Exmoor on the horizon. 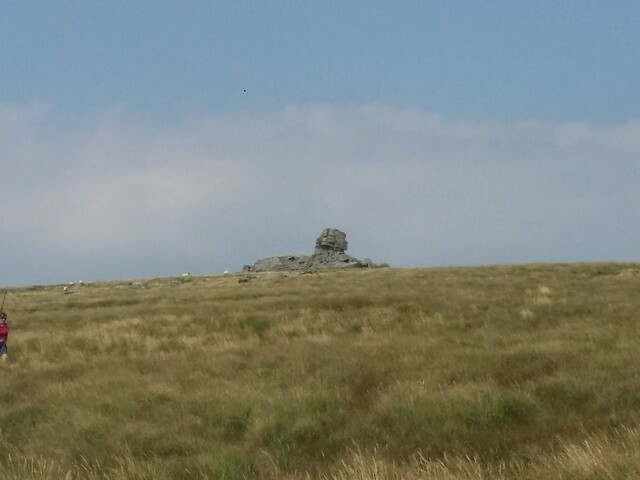 There is a small slab of exposed non-granite rock just off the top of the hill, so I have decided to include it as a tor in my list. 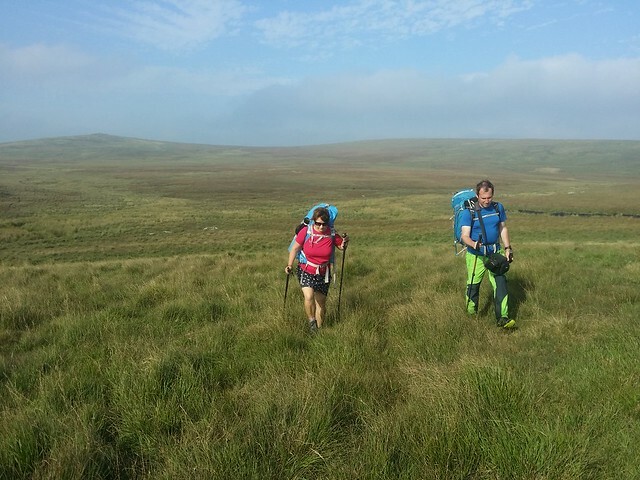 Off the hill, we joined the road to Okehampton camp, leaving it to head over Rowtor. 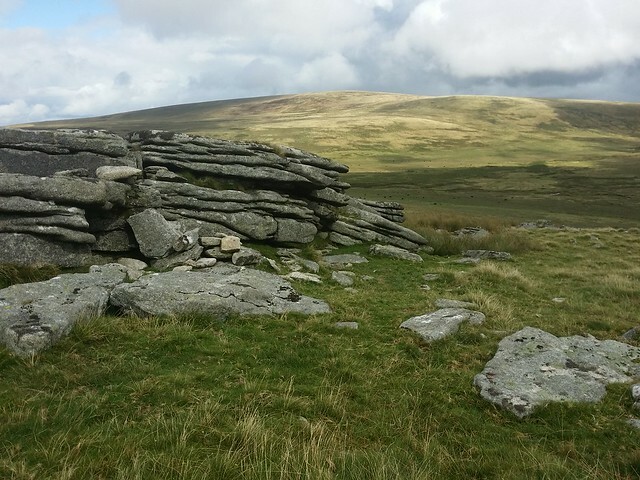 Conscious of being in danger of turning the hike into an exhausting epic day, we rejoined the rocky military track rather than tackle West Mill, Yes and High Willhays. Instead, we visited the lesser attraction of Curtery Clitters. 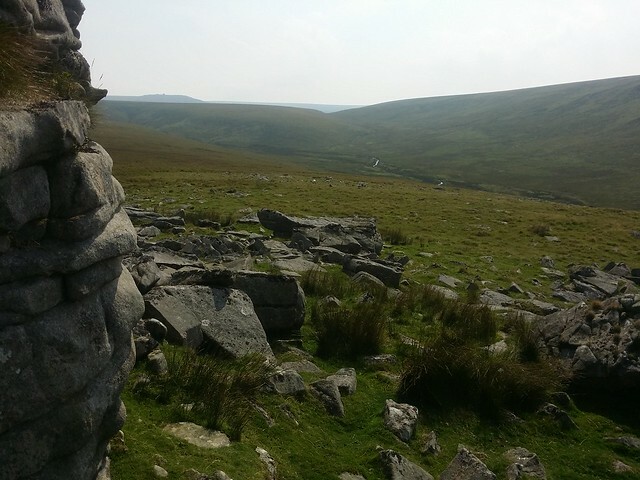 A couple of hundred metres south-west of the area marked on the OS map, this is a crescent shaped area of clitter, with no tor. West of Black-a-ven Brook and east, just below the military road to Dinger Tor. 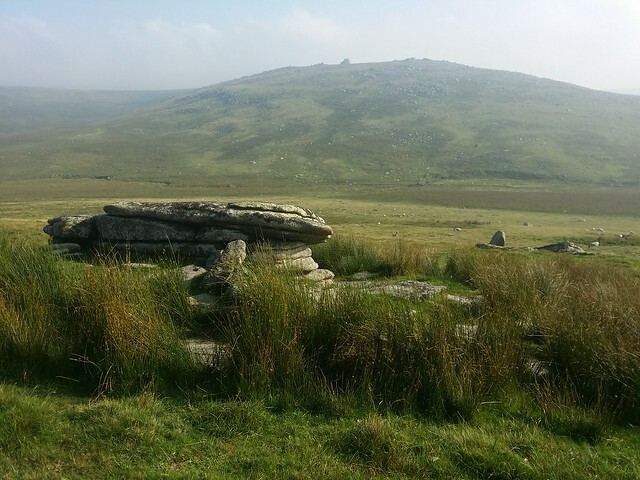 Most people would pass this by without a second look but I've been here a couple of times now and it has good views of East Mill Tor and is relatively sheltered for a break. 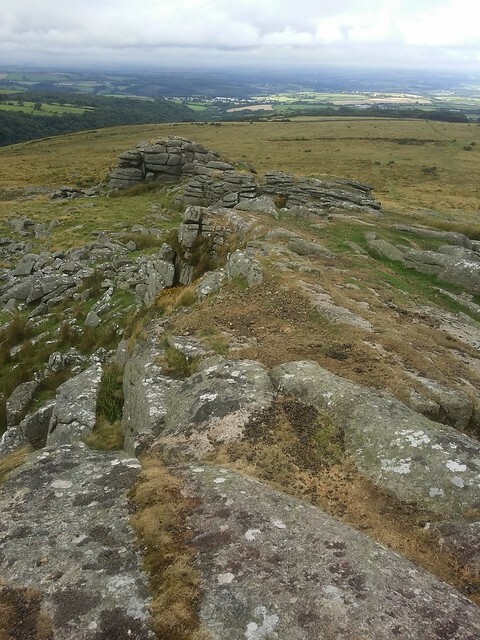 We climbed back up to the military track and kept with it to its conclusion at Dinger Tor, where I could point out the proposed route to Fur Tor; the obvious outcrop in the distance. 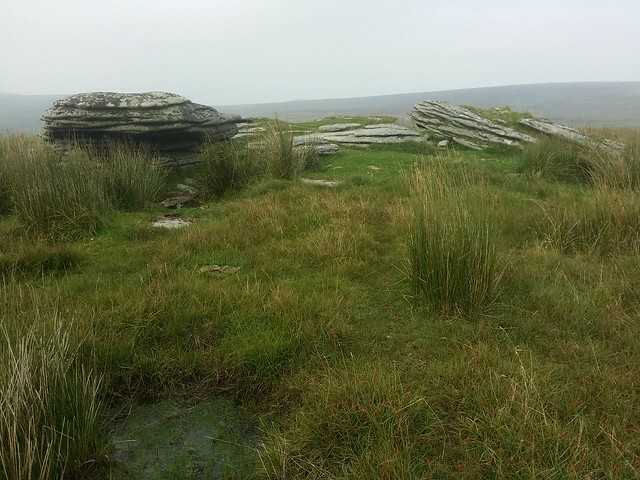 But first, a detour to Lints Tor for lunch, where we bumped into Tony Hobbs and his girlfriend, who had camped nearby the night before and were on their way off the moor. My chosen route to our next bag, was a poor decision. I took us down to the West Okement, when, in hindsight, it would have been better to stay high and tackle the rough ground and river near Kneeset Nose. 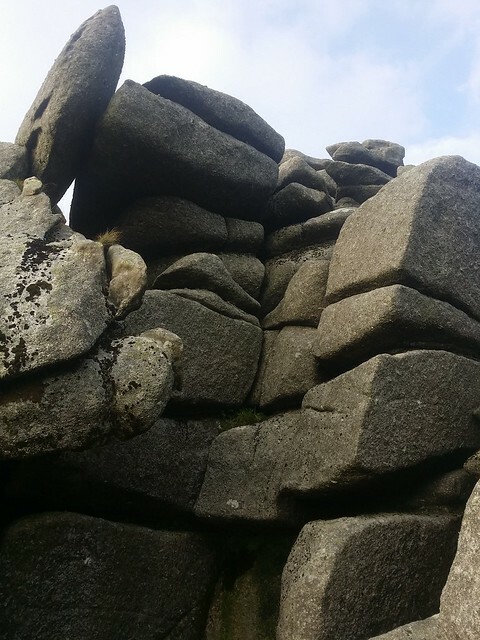 That said, we wouldn't have got to see why Lints Tor is nicknamed the Spynx, because of its resemblance to the statue beside the Pyramids of Giza. 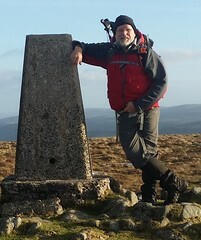 Walking beside the West Okement is pleasant enough on dry days like this, but as we crossed it near Kneeset Foot, the hill of Great Kneeset was a huge area of knotted high grass; in my view a bigger challenge to traverse than blanket bog. 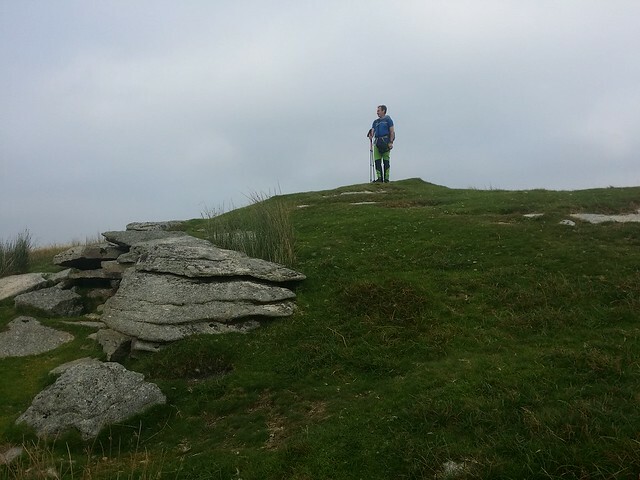 Each tiring high step on our climb was a lottery and with no fixed point to aim for, we meandered, concentrating more on ascending than direction. We stopped numerous times to correct our direction. 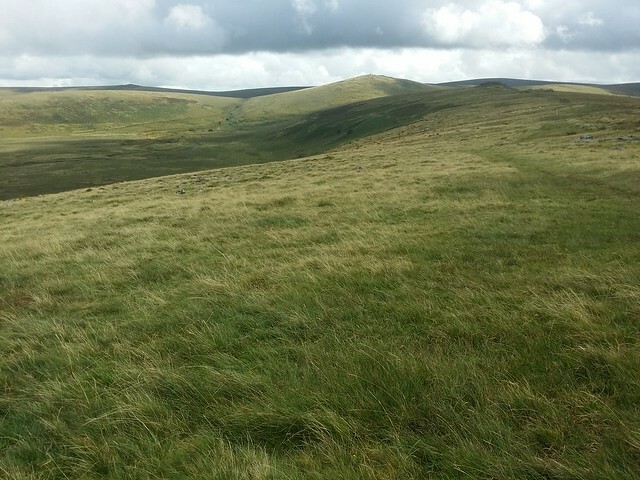 Nearing the top, the grass thinned, explained by the appearance of ponies; the better walking conditions were testament to their importance to the moor. If only they could be persuaded to make a start on the west side of the hill! 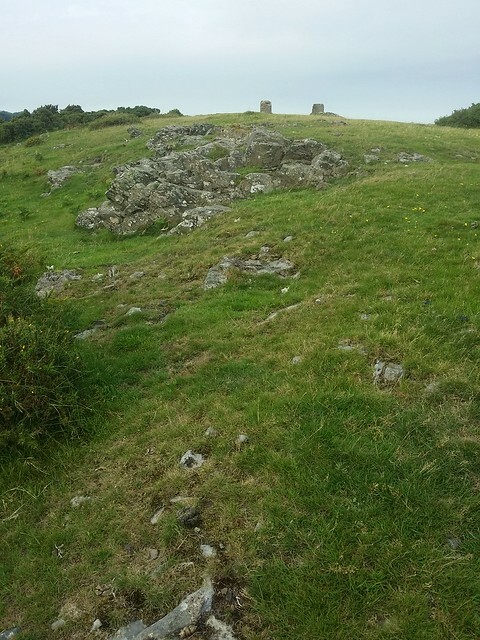 Great Kneeset consists of two small outcrops on the top of the hill. My first time here, I was pleased the battle up here was now behind me. Taking in the views, it was obvious there was a simpler route and I could see I would likely return some day, with the Black Ridge to the east looking worthy of exploration. Going was good now, south to Black Ridge Brook. I could see that the plain between Little and Great Kneeset would be a challenge to cross in wetter conditions, but not today. I had a feeling we had cracked the worst of the journey. Up on to Little Kneeset, we came across an outcrop on its northern flank. 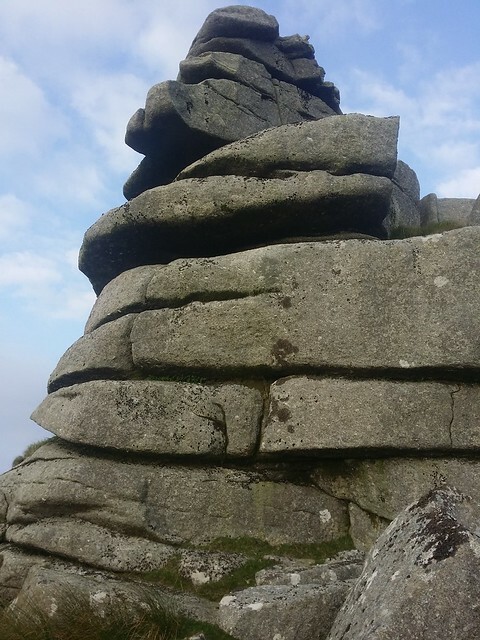 But this wasn't the tor we were expecting and it wasn't until we had hopped over the summit that we spotted the more obvious granite. Little Kneeset is a respectable tor, but overshadowed by its towering neighbour to the south, which dominates the vista. William Crossing speaks of this vista in his book "Gems in a Granite Setting" and I have to agree when he says; "Seen from a point not far below Little Kneeset, on the bank of an arm of the Tavy, the appearance of the great hill covered with masses of granite from base to summit, and crowned with huge rocks, is wonderfully striking". 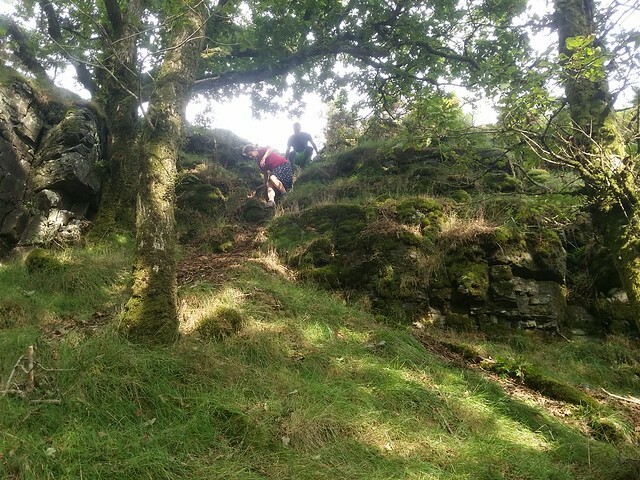 We dropped down to the Tavy and collected water before the slog up to the main outcrops, where Phil and Sarah were already waiting, having come from Postbridge. 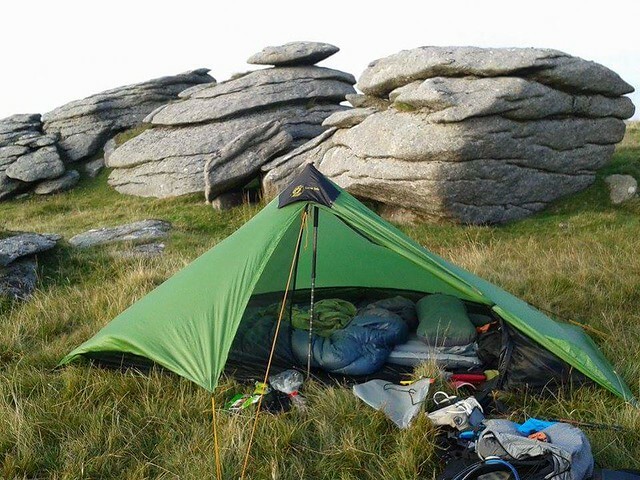 We all gathered at the top, having taken our own time to ascend, and set up camp beside the western outcrops of Fur Tor. 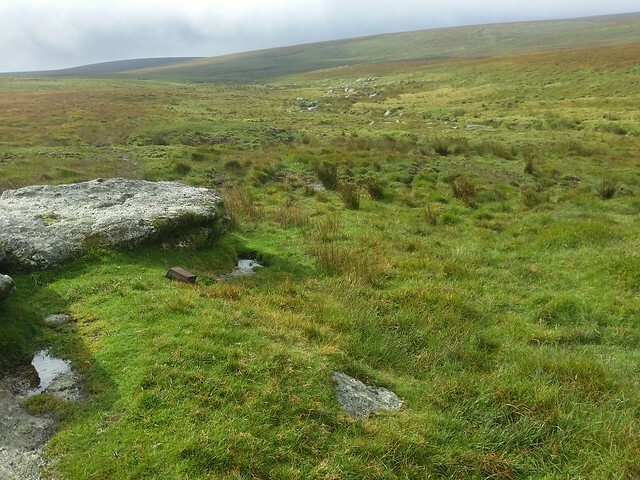 Referring to Crossing, again; "Of all the tors of Dartmoor none is more impressive than the pile of Fur Tor, which, standing in lonely grandeur in a secluded part of the Forest, possesses a charm such as belongs to no other." The wind picked up as we congregated to cook dinner. By the time we had finished, a mist had rolled in, obscuring any views, and the first drops of moisture were felt. Time to retreat to our tents and as night fell the rain increased. As it continued, I considered our next day and the possibility of an escape route. Morning arrived, and conditions were no better. The plan had been to continue south to pick up another tor I had not yet bagged, but the mist and rain didn't make that a sensible plan. Coupled with the fact that West Ham were on the tele at 4pm and it had always been my intention to make it home in time, it was decided that we would continue with Phil and Sarah, back to Postbridge and work out travel plans to Okehampton in the comfort of a pub. We set off across to Cut Hill. I had never visited before and it reminded me of Kinder Scout with its peat hags and bogs. In the conditions we were experiencing, it is not a place to linger, but Phil assures me that it has a wonderful view when visibility is more amenable. 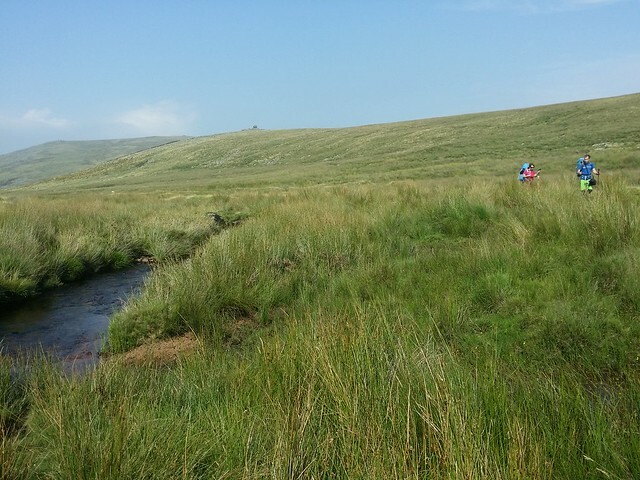 Keeping to an easterly bearing, we dropped to Cut Hill Stream. Easy to cross, we then continued to the East Dart at Kit Rocks. We all chose different places to make it over the river, all safely. As we paused, the weather improved. Enough for me to make the decision to change plan and head north to Okehampton. We said goodbye to Phil and Sarah and made for Quintin's Man. When we reached the old cairn and the military hut, the rain returned and was to remain with us, on and off, for the next couple of hours. 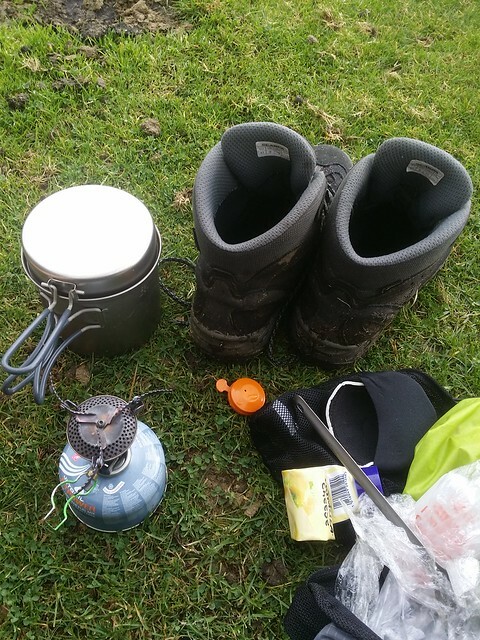 As a result, the walk became more of a march, following the grassy track over Whitehorse Hill, taking the peat pass to Hangingstone Hill, and picking up the obvious military track north beside Steeperton Tor, and up on to Oke Tor, where we stopped for lunch as the sun reappeared. 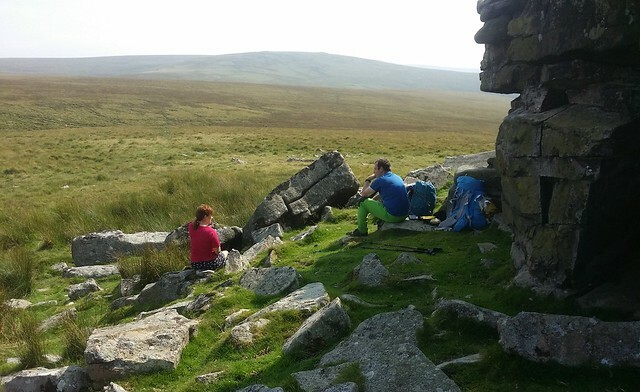 From thereon, we began to dry out, enabling us to enjoy the views of Knattaborough Tor, Taw Marsh and the wonderful Belstone Ridge. The better conditions had slowed us as we lingered on the rocks. Reaching Belstone, it was road and footpaths through fields down to Fatherford Road and the final leg back to my house. I never did make it home in time to watch the match, only catching the last twenty minutes, but not even a loss was going to spoil a top weekend on the moor! And another day, with better weather conditions, was promised tomorrow!